About to do an oil change on my '97. Buddy of mine told me that AutoZone sells a Mobil 1 "European Sports Car" oil and I was wondering if any of you guys have heard of it or even put it in your car. Not sure of the weight though. Appreciate any feedback. Also what's the highest quality filter and where could I get one? 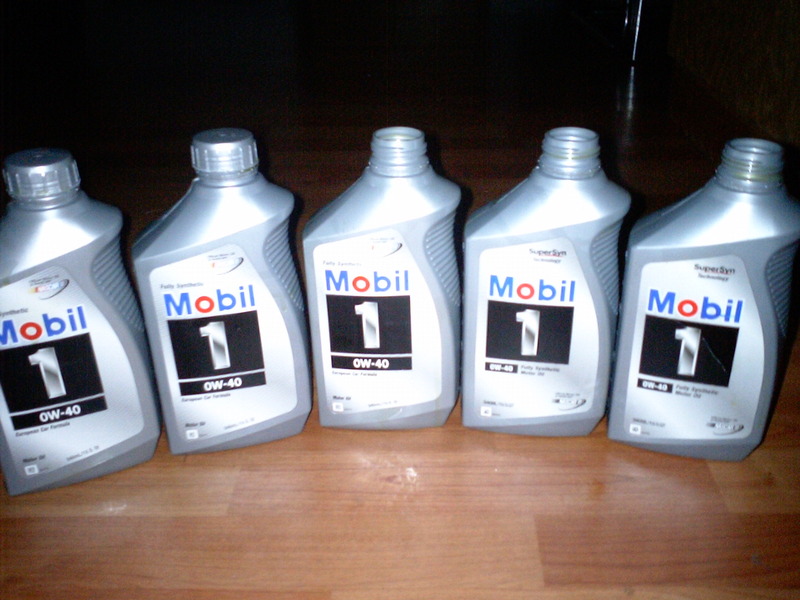 Matt, you should be able to find Mobil 1 in the 0W40 viscosity at Wal-Mart. They even have it in gallon jugs, in some locations. As for the filter, use our sponsor at www.sunsetporsche.com. Cool, thanks a lot bro. Just bought the boxster and having a great time with it. Few kinks, though, as I am finding out are fairly common. Yeah, I looked all over the net for it too. I actually did see it at Autozone though and was interested. Fdss, which do you recommend/suggest? Thanks. I have been happy with Red Line 5W40 so far. Me, I use Mobile 1 0W40 just like Porsche does and all the dealers I've been to do. I use Porsche-branded oil filters bought online. Be sure and order the crush ring too. It goes in between the oil drain plug and the block and is not supposed to be reused. Mike your list is out of date. The latest Approved Oils List is dated April 11, 2007. Loren, Is the latest list with the Boxster TSBs? I can't find it. ACEA A3,B3/B4 API SM,SL/CF These r Mobile 1 SuperSyn, I use them every time. I believe they r the best! haven't seen mobil 1 high viscosity at walmart but, if it isn't fully synthetic ,,, don't touch em or do your oil change every 3000 rather than 15.000 miles. fdss - Your quote "There are better oils than Mobil1. And they're real synthetic! Do some research"
This is a very subjective comment - any REAL facts to back it up? Im using Royal Purple 5w40 and i have a 119k mile engine. How have you liked it? CJ, of the 119K miles, how many have been on the RP? Blink and White, I've used it from 82k to now at 119k. I love it, I've used it in my TwinTurbo cars & Boxster and noticed a smoother engine idle over time when used in conjunction with Motor Flush the first 3 oil changes and injector cleaner every other oil change and cleaning my air filters. Even after several full tanks of gas after using injector cleaner, the idle stays smooth... Sometimes to the point to where i cannot feel the engine idle through the seats. Oh yes, dont forget to change your spark plugs or clean them if you have a air compressor with the sparkplug cleaner sand blaster attachment. That helps alot.